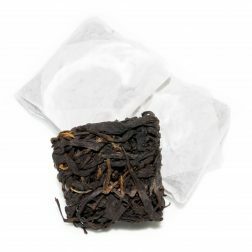 A rare black version of a Chinese classic Mao Jian or ‘Fur Tips’ tea from Henan Province of China. 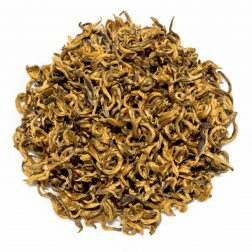 Black and gold slightly twisted leaves produce a smooth liquor with a malty and chocolaty flavour. 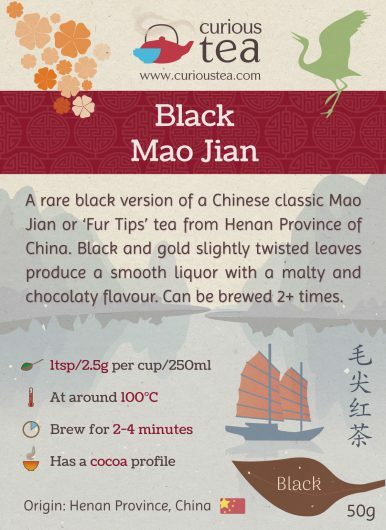 This special Mao Jian Black tea is a very rare tea that is a take on a Chinese green tea classic. 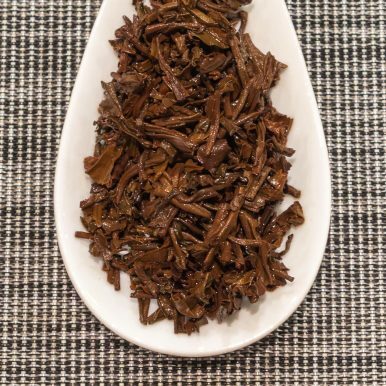 The name Mao Jian refers to the leaves that are used in making this tea and can be roughly translated as ‘Fur Tips’ due to use of a lot of buds in this tea, which have a ‘furry’ appearance. 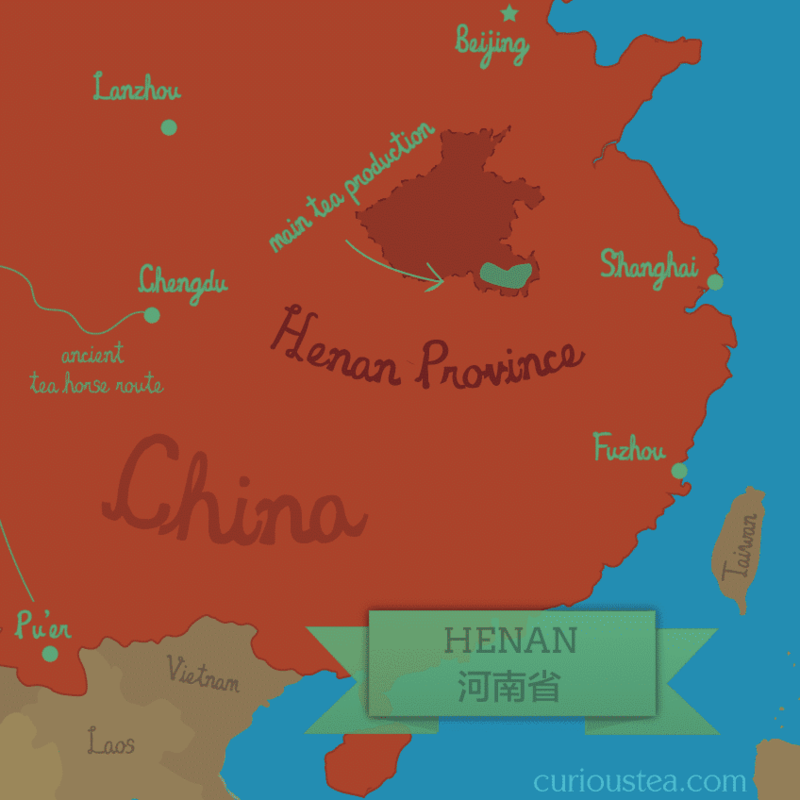 There are certain teas that are very popular in China, Mao Jian being amongst them. 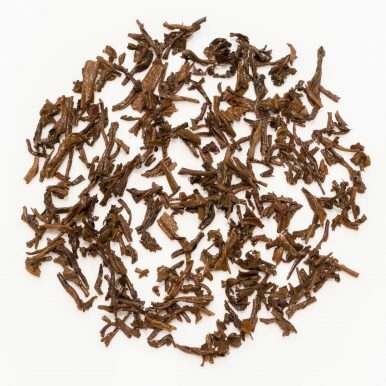 The classic green Mao Jian is often designated as one of the Chinese famous teas. 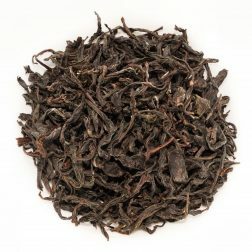 This version, however, takes the production methods used to make the green tea but then adds full oxidation in order to produce this unusual black tea. 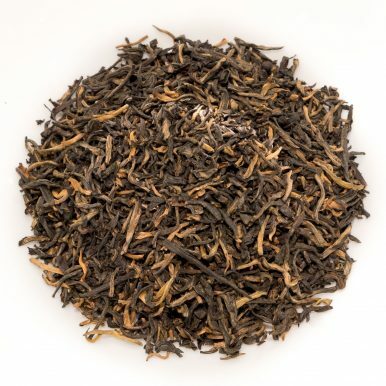 The resulting tea has a very distinctive flavour and is a great example of a new type of tea that can be created by combining a classic tea recipe with a different processing method. 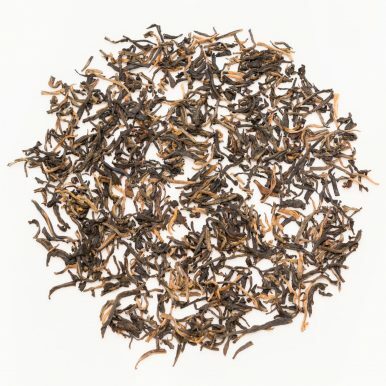 The leaves of this Mao Jian Black tea are slightly twisted and have beautiful black and gold colours. It has a slightly unusual fragrance reminiscent of dried berries and rosehips. The liquor produced from this tea is very smooth with a malty, buttery flavour and strong chocolate notes. A very distinctive and unusual tea! 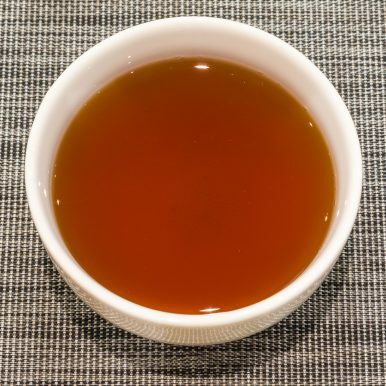 This tea is best brewed with water that has just come off the boil for 2-4 minutes. 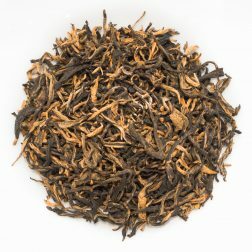 Feel free to experiment with re-brewing the tea leaves more than once. Best taken without milk or sugar. This Mao Jian Black tea was first featured in our August 2015 Curious Tea Subscription Boxes.